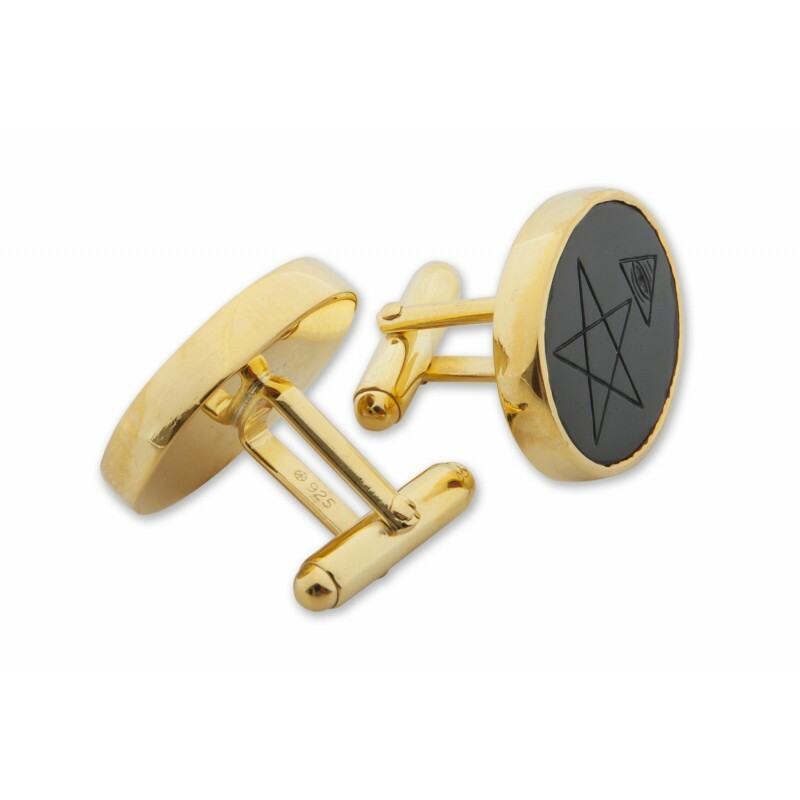 Intriguing lack Onyx Masonic Cufflinks hand engraved intaglio with the pentagram and pyramid eye. 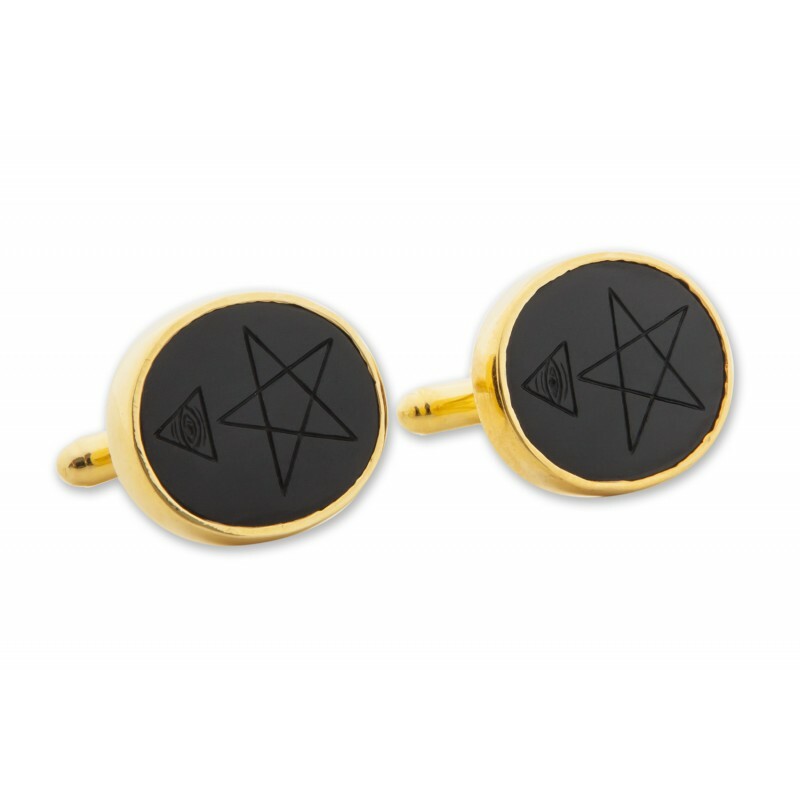 Beautiful genuine stone carved Masonic black onyx cufflinks that have been hand crafted with this traditional iconic image of thre Pentogram and the Pyramid Eye. 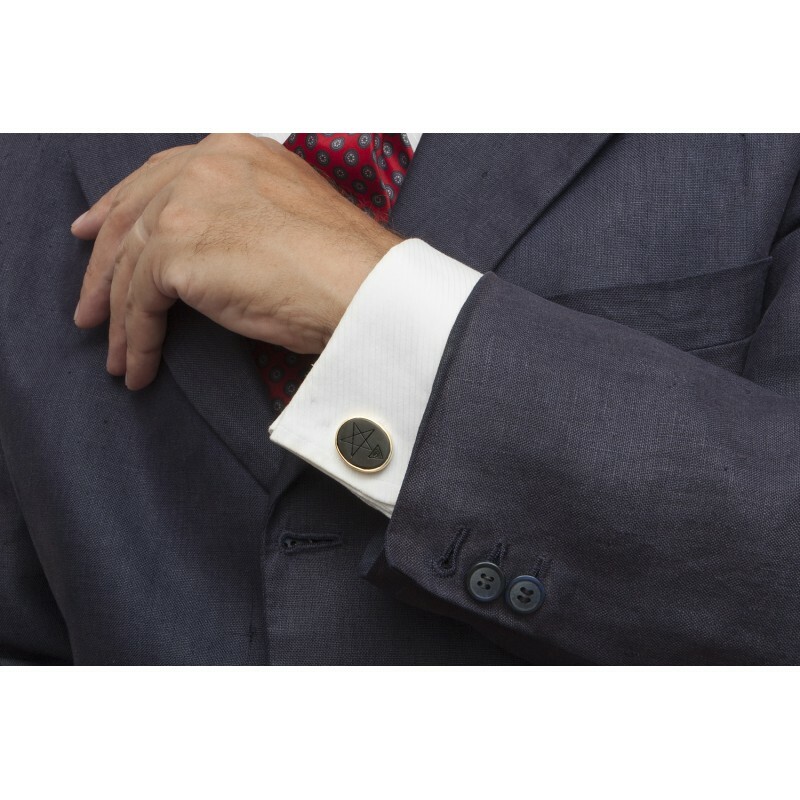 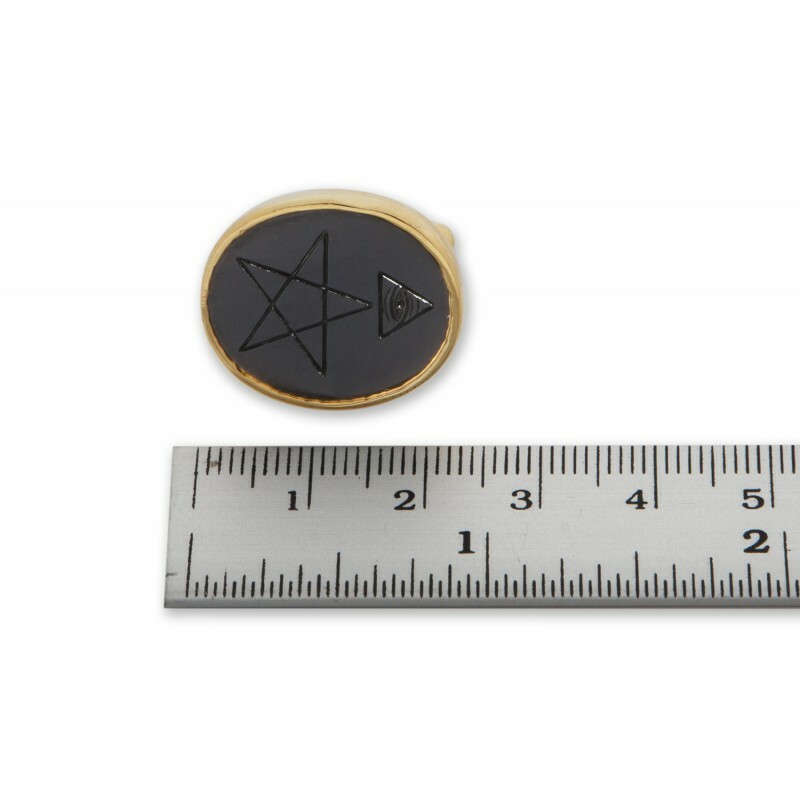 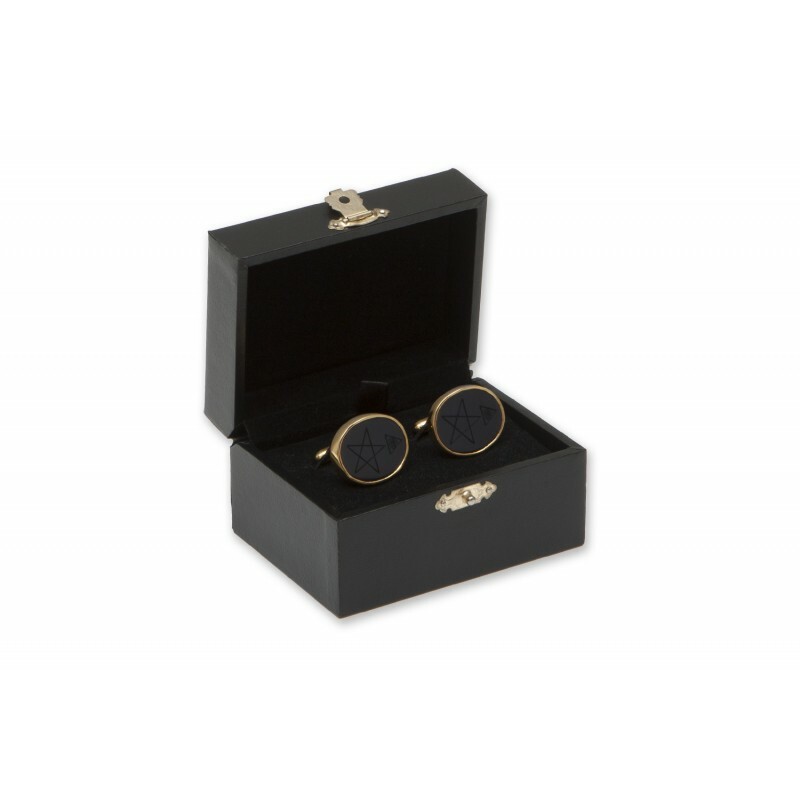 That's why these high quality handmade Masonic Black Onyx cufflinks are so affordable.